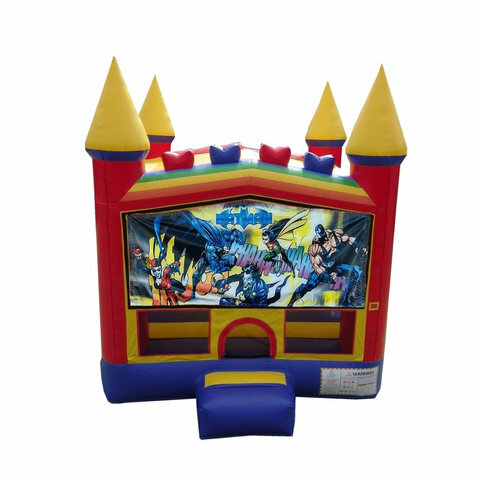 Batman Bounce House Rentals | BounceGeeks.com Richmond, VA. The Bat signal is calling us! Join Batman and his sidekick Robin as they battle the evil Joker and other arch enemies! This castle provides huge bouncing area and basketball hoop at an amazing value! High visibility safety netting keep children playing safely. Promote healthy activity and lots of fun. Note: basketball is not included. If you want to use a ball, it MUST be something soft so no one gets hurt!